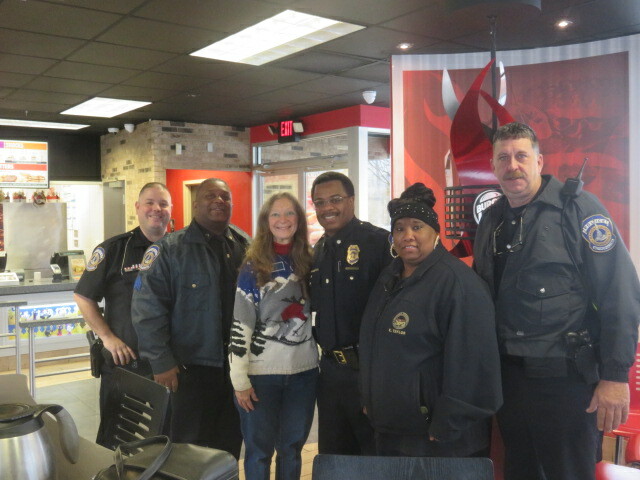 Even though the weather was not the best, folks still came to “Coffee With a Cop” this week. They enjoyed having the opportunity to chat with the officers, getting to know them better as well as meeting other residents of the area. Commander Lewis and some of the officers in attendance, along with Councillor McHenry, are pictured here. 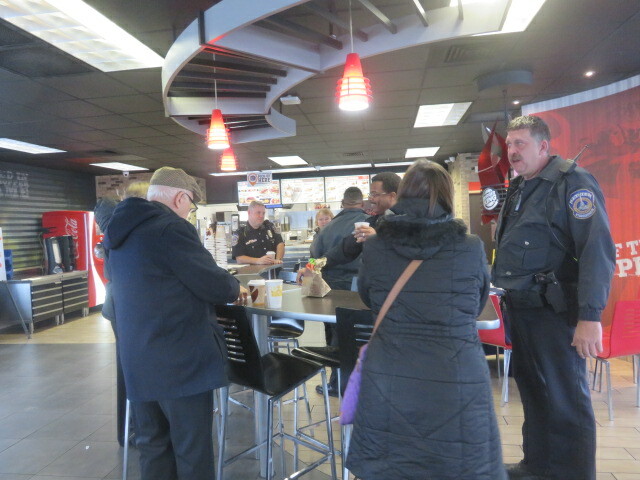 The next “Coffee With a Cop” will be on Tuesday, February 19th at the McDonald’s located 4545 W. 38th Street from 9 a.m. – 10 a.m. Hope you can be there! Due to tomorrow (Monday) being Dr. Martin Luther King Jr. Day, trash will be delayed by one day this week.